The Shallows was a movie I was actually really looking forward to. I hadn't seen the trailer until recently, but since then I have been eager to see the movie. The movie looked like it could be a lot of fun, and Blake Lively is a really good actress. Of course, this had the potential to be just a higher-budget SyFy movie; a discount Jaws-wannabe. Or it could be a quality thriller that offers some high-octane action and excitement. Leaving the film, I was satisfied. It certainly had its Jaws tribute moments, but it also stands on its own as an action-packed and gripping thriller that delivers on being a fun time at the theaters. 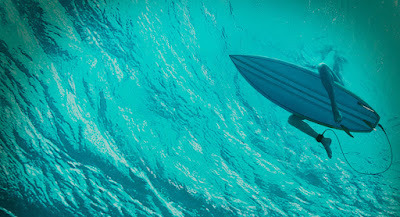 After going too far out from the beach into the waters, Nancy (Lively) is trapped in a great white shark's feeding ground, and must nurse an injured leg and fight in order to survive the animal's wrath. The Neon Demon was a film that I didn't have that much interest in seeing. I do really enjoy seeing out-there, artistic films, but the trailers for this film didn't necessarily intrigue me. It just wasn't really on my radar at all. But our other writer Rob saw the movie, and really wanted me to see it. The director, Nicolas Winding Refn, also directed Drive, one of his favorite movies, and one I have yet to see. So I agreed, and went to see The Neon Demon. And I walked out feeling mixed on the film. While it visually looks beautiful and gorgeous, with a fantastic soundtrack, the story and characters are really lacking and utterly underwhelming. After just arriving in Los Angeles to begin her career in modelling, Jesse (Elle Fanning) begins rising up the ranks, far surpassing her colleagues who have been there far longer than she has. After her bout of success, rival models take it on themselves to put her back in her place. I didn't see the first trailer for Morgan until I was in the theaters seeing something else, and it played during the previews. Instantly, I wondered what the hell this movie was. The trailer was very well-crafted; you didn't really know what was going on, and it left a lot for your imagination. It made you interested in this film. So I was interested to see where the second trailer would go. If this one was just as ominous, then it might be seen as a simple rehash, and the marketing team is trying to hide this film. But if it followed a true narrative, then it might take away from the suspense the first trailer built up. So I clicked on this trailer, eager to see which path they took. And, unfortunately, it was the latter. 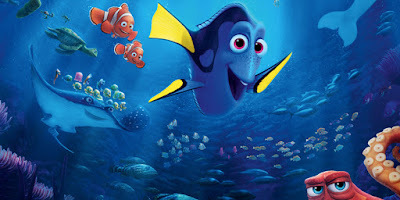 I hold Finding Nemo to be one of my favorite Pixar films to date. It was fun, exciting, scary, adventurous, and had a great message about family, and about overcoming challenges and disabilities. So I was hesitant when I heard the news of a sequel coming out thirteen years after the original. Either the sequel would just be a rehash of the original, or it wouldn't be nearly as good as the first. And the trailers hadn't sold me either. The visuals were fantastic and I felt like I was right back in that world, but the comedy and substance of the trailers hadn't clicked. But after the 95% critics rating on Rotten Tomatoes, I walked into Finding Dory very excited. I checked my enthusiasm, knowing it would not be as good as Finding Nemo, but I went in expecting a good movie. And that's what I got. Finding Dory is a really good film, even though it doesn't come close to being as good as the original. I was really looking forward to seeing Money Monster. I had seen the trailer play in front of another movie about a month prior, and I thought it looked fantastic. 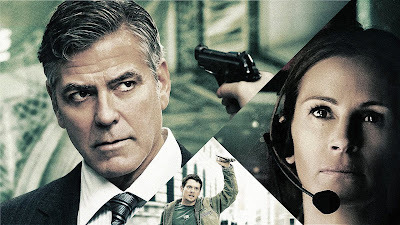 George Clooney and Julia Robets are great actors, and my interest was peaked even more when I saw that Jodie Foster was directing. I thought this could be a great dramatic thriller, with powerful performances that had a clear message about consumerism and Wall Street. But my expectations were lowered by a lot when I saw the Rotten Tomatoes rating was 55%. I went into the film hoping for the best, but prepared to be disappointed. But, after all, I have no idea why critics didn't like this film. It may not have enough substance to last the entire film, but the power it has from both its performances and suspense it builds up is electrifying. 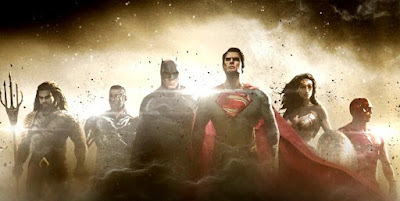 After the resounding disappointment of Batman v. Superman: Dawn of Justice (read our review here), many were apprehensive about the Justice League film coming out next year, once again directed by Zack Snyder. A lot of people thought Snyder should leave the project and that it should be pushed back and delayed, but so far neither of those things have happened. Warner Bros. went through a major change-up after the critical (and underwhelming box office reports) of Batman v. Superman, which put comic book guru Geoff Johns in charge of shaping the franchise, along with Ben Affleck, Zack and Deborah Snyder as an executive producers. What many fans hoped was that they listened to the complaints people had about Batman v. Superman-- that the script was weak, that it was too dark, that the tone was a mess-- and it seems like they have. 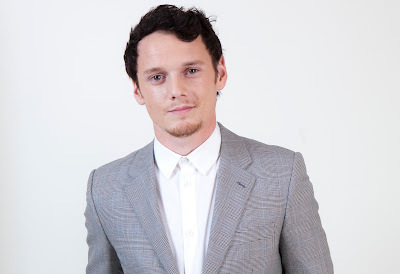 Anton Yelchin, best known for his role as Chekov in the rebooted Star Trek films, passed away on June 19th. The actor was only 27 years old. Aside from Star Trek, Yelchin was also well known for other films, such as this year's Green Room (read our review here). He played the lead in the rebooted Fright Night, played Kyle Reese in Terminator Salvation, and voiced Clumsy in The Smurfs. Many will also remember him from Like Crazy, in which he dabbled in romantic films, as opposed to the action/sci fi he had been in prior. The Lobster was a very fascinating, dry comedy starring Colin Farrell that I had the pleasure of seeing recently. It was a film I had wanted to see for a while, after our other writer Rob had been raving about it for so long. The film itself doesn't disappoint. It is obscure, and out-there, but entertaining nonetheless. It's not a perfect movie, but it has a lot to say about society and people, all while making you laugh. You can read our review for the film here. 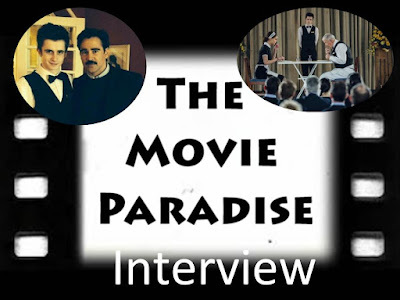 So when the opportunity came, how could I turn down a chance to talk with Anthony Moriarty, an actor who had a very memorable scene in the film, depicted in the image above. He plays a waiter who helps explain to the residents of the Hotel the importance of not being alone, and having someone with you, in some very dry but perfect comedic moments. It's a great scene, and it's one that stood out to me when I left the theater. I had heard non-stop praise for The Conjuring for years ever after its release. So when I saw that the sequel was on its way, I promised myself that I would see the first one before the second, because these films genuinely looked good. You can read my review for the first film here. I've stated this before, but I think it bears repeating. I am not a fan of horror films. Most modern horror films are cliched, with fake jump scares, and have horrible acting and writing. I just don't care for them. But what made The Conjuring so good was that it had great performances, great writing and it created such a terrifying atmosphere. It succeeded immensely as a horror film, so I had high anticipations for the sequel. 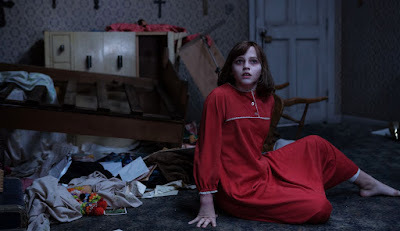 While The Conjuring 2 is not as good as its predecessor, it is still a great film and does little to disappoint. 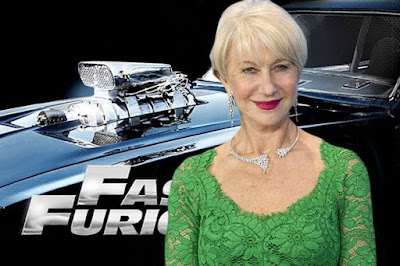 For a while now, Helen Mirren has been campaigning to be in the next Fast and Furious movie, Fast 8, which will be helmed by Straight Outta Compton director F. Gary Gray. The film is set for release next year, with Mad Max: Fury Road's Charlize Theron as its villain. But even before that casting, Mirren desperately wanted to be in the film. And I really wanted her too. I thought she would be great as Luke Evans and Jason Statham's characters' mother, and could bring that villain arc full-circle. But regardless of who she would play, I really wanted to see her in the film. And now, it seems that hope has finally come true. 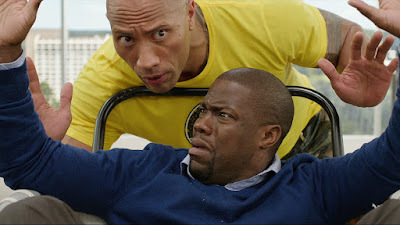 Central Intelligence is a movie I have been anticipating for some time. I love Dwayne Johnson. He has such great charisma and charm, and elevates any film he's in. Last year, he starred in San Andreas, which was really only watchable because of him. He is always a stand-out in films, and has become one of my favorite people in Hollywood. And I mostly like Kevin Hart. He kind of does the same shtick with every film, but when he's on, he's great. So seeing these two actors paired up together seemed like it could be a match made in Heaven. The plot seemed kind of ordinary and the jokes in the trailers weren't super funny, but I hoped that with the chemistry between these two actors, this movie may turn out to be something quite special. But in the end, Johnson and Hart work really well together, but unfortunately the movie just doesn't deliver on quality jokes, or an interesting plot. For a while, I had zero interest in seeing Popstar: Never Stop Never Stopping. I thought the trailers weren't very funny, and I thought it would end up being a bomb. However, it ended up with modest critical ratings, and reviewers I trust mostly liked it. So when I found myself with nothing to, I thought I would give Popstar a shot. I really like Andy Samberg. I saw part of season one of his show Brooklyn Nine-Nine, and he was hilarious as a delusional, self-absorbed idiot. And in Popstar, he plays very much a similar kind of character. So I went in to the movie not expecting much from it, and I walked out surprised. While Popstar doesn't necessarily deliver on gut-busting laughs, it is a fun and enjoyable movie to watch about a narcissistic moron. Spider-Man: Homecoming is shaping up to be a very interesting film. 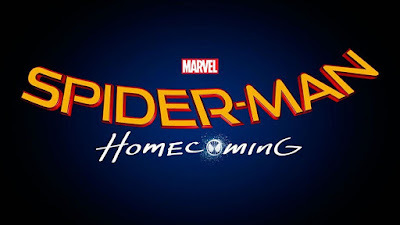 After Tom Holland shook things up in Captain America: Civil War (read our review here), excitement over the character's first solo film under Marvel's creative supervision has escalated, and now more and more information is dropping every single day. We know Robert Downey Jr. will appear in the film as Iron Man, and Michael Keaton will play the villain, as the Vulture. Several other actors have been cast in smaller roles, filling out some of the high school students and other various roles. And now, another actor has been added that has caused quite a stir online. 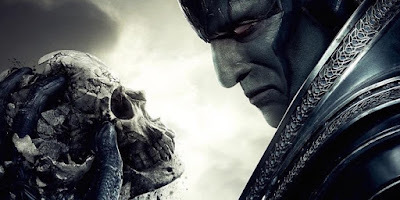 It's been a few weeks since X-Men: Apocalypse (read our review here) came out, and it seems that the resounding response from fans is "meh". I overall liked Apocalypse. It was definitely one of the weaker X-Men movies, but it wasn't in any way a failure for me. But who would have thought two years ago that a Deadpool film would be more critically acclaimed and maybe even higher grossing at the box office than another installment in the standard X-Men franchise. But while Apocalypse put into place some very exciting possibilities for the future of the mainstream franchise, I contend that the future of Fox's series is not big-budgeted giant X-Men films, but rather smaller spin-offs more in the vein of Deadpool. This editorial will have minor spoilers for X-Men: Apocalypse. So if you haven't seen the film yet, this won't ruin the entire film at all, but it's not for those who are ultra-sensitive to spoilers.